Feast of our Patron Saint â€“ St. George is on 29th and 30th May 2010. This is the first event during Summer 2010. We would like to have a family fun day with lot of sports and games for all age group. We are looking for volunteers for this event. Your ideas and suggestions always welcome! Success of this event is your participation. We have lot more to plan in the year aheadâ€¦. Those who are planning to attend should register with the Committee Members as soon as possible. The picnic committee needs a head count early enough to make arrangements for food and other items. The Great Lent, Holy Week and Easter once again witnessed the unity of the members of our parish. We worked together in everything, everyone being aware of the needs, contributed towards the Church, arranging the needs of the worship to make it heavenly, arranging evening prayer during the Holy Week, and a lot more. Our unity and togetherness makes the people around us glorify our Lord. On Palm Sunday our Fr Happy Jacobâ€™s service was grateful. All Glory be to the Father, Son, and the Holy Spirit. By Godâ€™s grace and the prayers of the believers, the entire Passion Week was a spiritual and enriching experience. The presence of our beloved Thirumeni and his spiritual message made this yearâ€™s Passion Week a truly blessed one. Let us all continue to uphold the spirit of sacrifice, hope and salvation in our lives throughout the year. 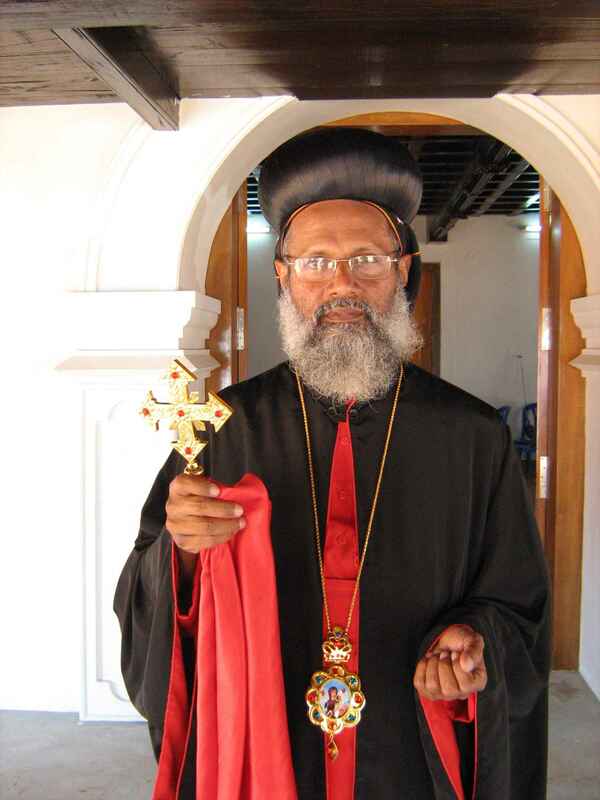 Our passion week services will be celebrated by Idukki diocese metropolitan H .G .Mathews Mar Theodosius who has arrived on 29/03/2010 at 1.30pm Manchester airport and welcomed by our committee members, a detailed media report is available. Maundy Thursday (Pesaha) service will be on 31st March 2010 from 4.30 pm to 8PM at St Anthony's RC Primary School Hall, Dunkery Road, Wythenshawe, M22 0NT. Car parking aviliable at school ground, Please follow Culmere road, M22 1WA. No one has ever gone into heaven except the one who came from heavenâ€”the Son of Man. Just as Moses lifted up the snake in the desert, so the Son of Man must be lifted up, that everyone who believes in him may have eternal life. Jesus stating his coming days to his disciple quoting from the Old Testament. God sent his son to save the world. We go through this message many times Till now we are in the darkness. We can understand from this passage: if we say we love God , we should walk in light and truth. We have to know the effects of light and darkness in this world. Our purpose is to show the light to all others around us. Like the moon glow in the dark gaining light from the sun we also gain the light from God to shine in this world.